Another distinct feature is that they have white around the muzzle area. They also have very large ears. 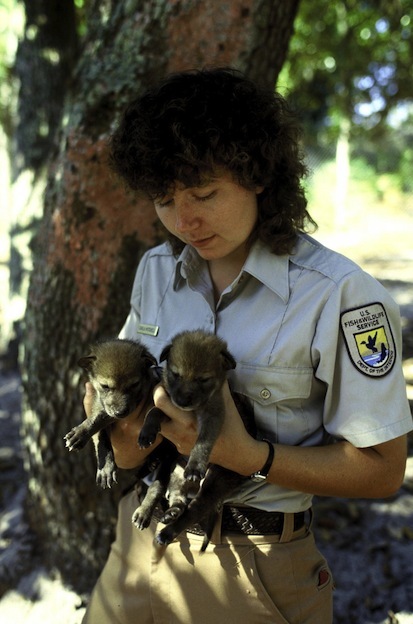 In the past the Red Wolves have been known to live around Texas and Louisiana. Today though there are very few of them remaining in those regions. Thanks to reintroduction projects by professionals they are now also living in South Carolina and North Carolina. They do seem to be doing quite well in those areas but it is going to take time to see how they do in the long term scheme of things. 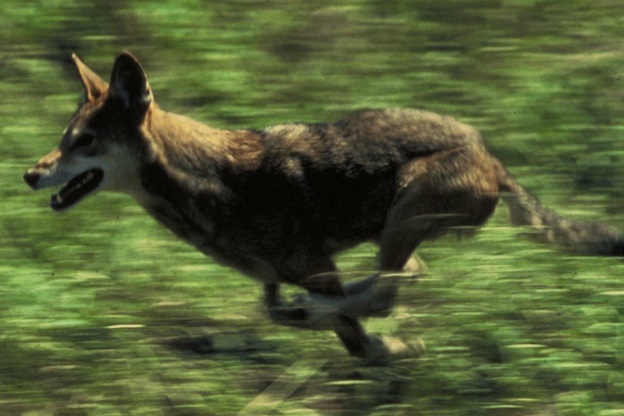 The Red Wolf is very social by nature so they will form packs that have several levels of hierarchy within it. These packs can be as small as only two members or have a few more. They are very territorial as well so they will heavily mark their area with their scent to keep other wolf packs from invading their space. The Red Wolf is considered to be mature between 22 and 24 months of age. Typically it is only the lead male and female of a pack that will reproduce. This activity takes place from January to March. The young cubs are born a couple of months later. A mother can has from three pups to twelve. The young are born in a den but instead of later emerging with them publicly she will continue to move them around to other dens for several months. This helps to prevent the scent from becoming too strong and attracting other wolf packs that may also be predators of the young. One problem with those that have been reintroduced in North Carolina and South Carolina is that they have had large numbers infected with heart worm. Efforts have been in place to help reduce this by offering medications and humans doing what they can to monitor the situation without putting themselves into danger.